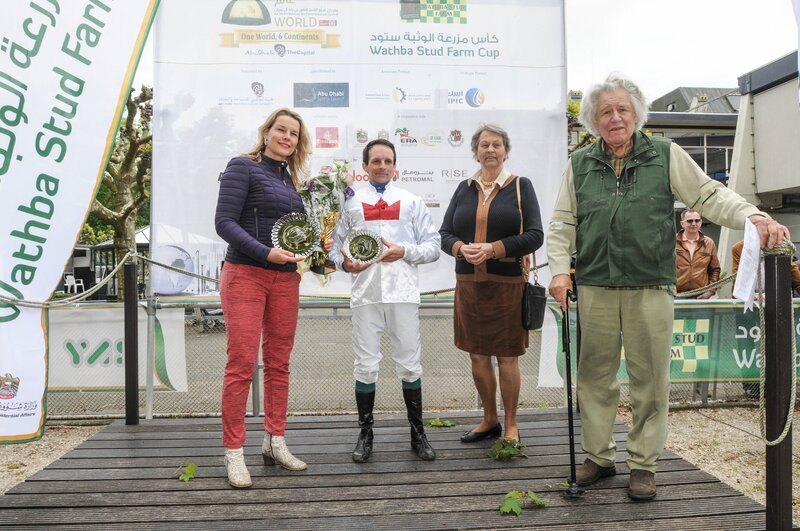 16 May 2016, Duindigt, The Netherlands ~ HH Sheikh Mansoor Bin Zayed Al Nahyan Global Arabian Horse Flat Racing Festival staged the first of its three Wathba Stud Farm Cup races to be held at the Duindigt racecourse in The Netherlands on Sunday, 15 May 2016, where the favorite, Fajr Qardabiyah trained by Karin van der Bos, won his second win in two outings. Ridden by Bart de Koninck and owned by Mr. A.A. Al Mansoori, the 4-year-old took command of the race of eight horses with an end run for the 2000 metres that left Viho D.A. 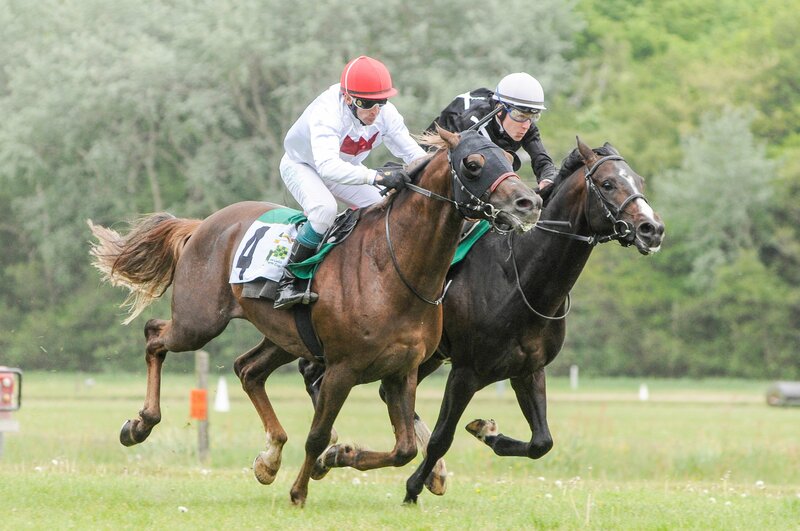 (BEL) ridden by Jente Marien to finish second while Petruschka under Anthony Deau finished third. Finishing fourth was Nestah Qardabiyah under Amin Haji Babaie. Derham under Cindy Klinkenberg, Fareedha under Koen Clijmans, Mahfouz D.A. ridden by Anna van den Troost and Shrek OA under Toon van den Troost were the other contenders. The Dutch Arabian Racing Committee and the Dutch breeders, trainers and owners thanked the HH Sheikh Mansoor Bin Zayed al Nahyan Global Arabian Horse Flat Racing Festival and its director Ms Lara Sawaya for their continuing support of Arabian Purebred racing in the Netherlands.